It’s the fourth day of our anniversary and mash up week and still we have not posted anything savoury, all of our mash ups during the past days were desserts but that is going to change today as we will be using Doritos as our mash up partner. Today we will be making some baked chicken fingers, commonly we use bread crumbs to coat it and make it crispy but have you ever thought of using your favourite corn chips as a replacement? Whether it’s Doritos, Fritos, Chippy or Granny Goose it does not matter as long as you choose your favourite one, what’s important is you are having two excellent food items in one bite, your favourite corn chips and chicken fingers. So if you will be making this what corn chips are you going to use? In a bowl combine sour cream, garlic, salt and freshly ground black pepper. Add chicken and mix well. Marinate in room temperature for 3 hours. Crush Doritos using a food processor until it resembles coarse bread crumbs. Set it aside. Place flour in a bowl, the eggs on a separate bowl and Doritos on another bowl. Dredge chicken first in flour then in eggs and finally in crushed Doritos. Place coated chicken on a baking sheet and do this with the remaining chicken. Bake in a 200C preheated oven for 15 minutes turning it to the other side halfway through the process. Oh my gosh, I think you just showed me what heaven looks like. 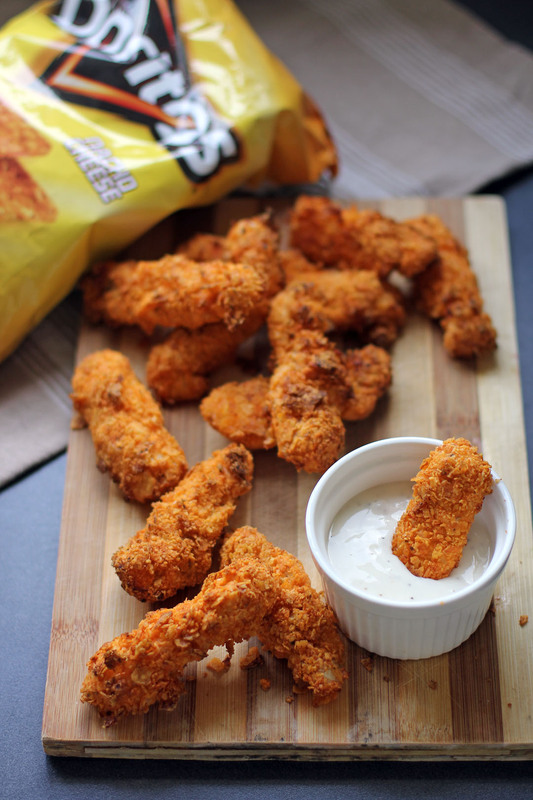 What a great idea and twist on regular chicken fingers! This is genius!! But then I don’t have an oven.. Would deep frying be okay? 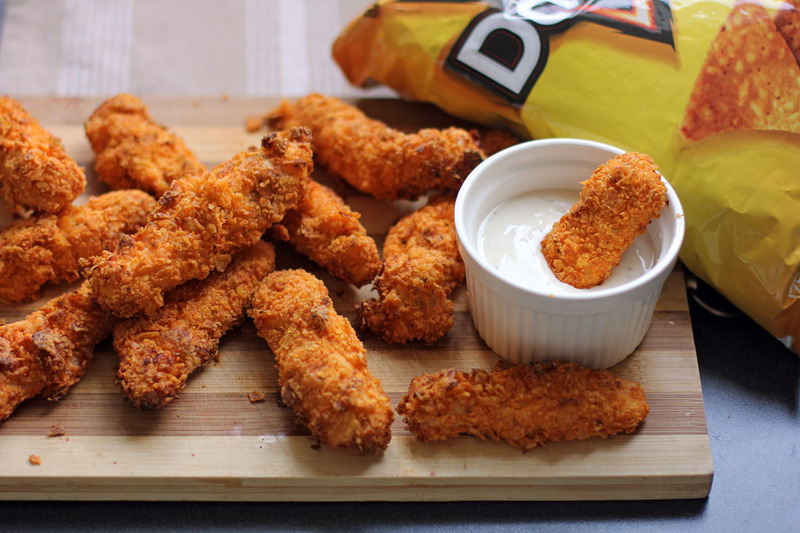 These chicken fingers will make an awesome snack for my next dinner party and cheese Doritos is my favourite too. You’re killing me here Raymund! No just Doritos, but nachos cheese doritos in the chicken crust! Great chicken fingers! You had me at Doritos! Going to try this next time when I make chicken strips.